Here's a brief look at the proposed site plan and new Parramore Road extension and proposed site plan near I-295 West Beltway and Collins Road. Come on, now. Technical Duval County location but if you know your area history you know Collins Road has always been Orange Park. Damn good news for the area. Finally...about time they add another Costco in Jacksonville. Councilman Jim Love deserves a ton of credit for this news. For several years, he has been diligent and determined in making the economic case for the City of Jacksonville to support this initiative through infrastructure. He helped a corporate conglomerate externalize their costs by building a pretty expensive road for them? Im not sure thats a credit insofar as New Urbanism is concerned Chris. Touché. However, Costco was probably never going to build anywhere near Downtown. Jim showed leadership to make sure that the store was built in Jacksonville, which ensures that the jobs are in Duval County and the COJ realizes the resulting ad valorem and sales tax revenue. I don't believe that a Costco would be a good fit for downtown or the neighborhoods surrounding it. Nevertheless, I also seriously doubt this particular site would have been a "make or break" for them finding a store location on the westside of town. A make or break for Love's district perhaps, but not a make or break for opening a store in an area that meets the chain's site selection criteria. If there's a market with demographics that meet their requirements, they'd find a site with visibility on a corridor that works. Perhaps they'd redevelop a vacant Kmart location, replace an aging underutilized strip mall or end up along one of the several First Coast Expressway interchanges being built? This particular area of Collins is now suitable for this type of retail development because of the hundreds of millions poured into Parramore, BJP's Collins Road extensions and roadway widenings and FDOT's investment of a new interchange with I-295. So what was once a pretty worthless piece of privately owned property is now a high profile commercial site for that particular land owner. Will the amount of ad valorem and sales tax revenue of new development ever add up to the infrastructure investment cost subsidized by the state and city? That remains to be seen but probably not, if we start factoring the costs associated with the long term maintenance of the new infrastructure. Unfortunately, I'm not sure we seriously track those type of economic numbers locally. Good points as usual, Ennis. I passed two of the now-empty former K-Mart spaces last week and wondered how they might be revitalized. Those sites involve too much land and square footage to sit vacant for the long-term. But that is unfortunately the state of the Beach Blvd. and Blanding Blvd. locations at the present, at least as far as I can tell. It is worth noting that the state and local roadway improvements you mention were long planned and not made for the sole purpose of attracting Costco. For example, Parramore Road was an uncompleted BJP project that fell below the line when sales tax revenues were lower than anticipated. 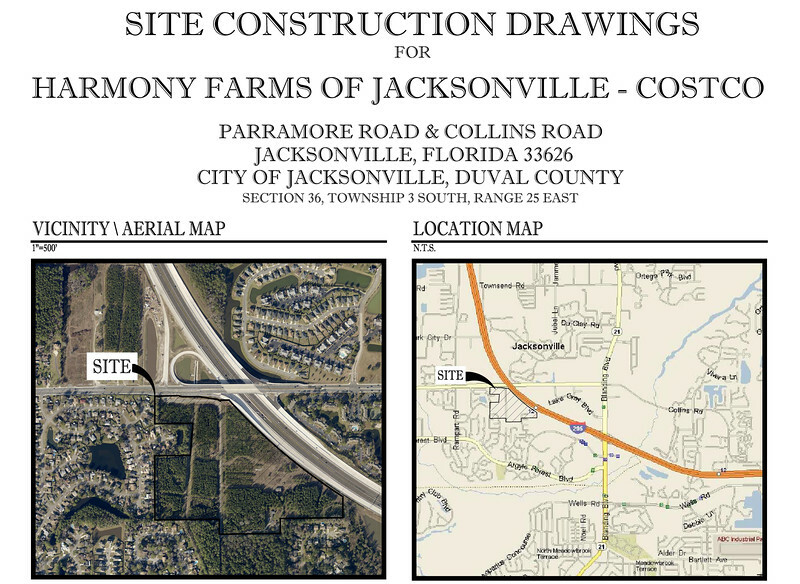 See http://jacksonville.com/news/politics/2013-07-12/story/westside-landowner-waiting-construction-voters-approved-2000-better. My basic point was that Costco could easily have decided to build that store outside of Duval County, thus directing the associated revenues elsewhere. Jim's leadership helped make sure they picked Jacksonville as the location. Your notion about tracking the economic impact of infrastructure investment is an interesting one. It would also be useful to have the reverse data -- in other words, what are the economic impacts of the nation's multi-trillion dollar infrastructure backlog? Yes, I agree that the reverse data would be useful. The BJP and FDOT road improvements also led to the Walmart across the street, so I also agree that they were not made for the sole purpose of attracting Costco. Overall, I just don't believe that it was either this particular site or no Costco for the westside of Jax. Their site selection criteria and market demographics for a single chain store location is radically different from the process of a city attempting to lure large manufacturers or corporate headquarters. Assuming there's a market for additional stores in Duval, they'd find a suitable location even without the surrounding road improvements, because the store would be serving a select area within the local market. I see your point, but Costco may well have chosen another "suitable location" in northern Clay County. Though that placement would still have given Westside residents access to the store, it would not have provided the associated employment activity or ad valorem/sales tax revenue to the City of Jacksonville. While I believe in regional cooperation and would not begrudge our neighbors to the south any economic success -- in fact, there are probably ways we could work together for the benefit of both counties -- I am pleased to see the Costco, related jobs, and future revenue end up in Duval. Of course, this all gets back to the point you made earlier. What is the total COJ infrastructure investment and what is the return on that investment over time? This might be a good test case for the tracking you envision. Costco is essentially like a Sams or Walmart. I see them adding stores in Northern Clay and St. Johns Counties in the future, considering their booming population growth. I know Strong Towns ( http://www.strongtowns.org/the-growth-ponzi-scheme/ ) has conducted several studies in various cities across the country. Just about all of them show low density development not adquately covering the cost of the public infrastructure investment needed to create it. Since portions of Collins were expanded a decade ago, two better case studies might be SR 9B and the First Coast Expressway. Stephen - Would it hurt you to extend a bit of kindness to Jim every now and then? I don't believe that a Costco would be a good fit for downtown or the neighborhoods surrounding it. Not enough population density, especially downtown. Meanwhile Argyle and Oakleaf continue to build new houses at a torrid pace. I just received a flyer in the mail. Costco West Jacksonville opening Thursday, February 8, at 8 a.m. I don't know about yall, but it seems like that area is already oversaturated with smaller restaurants and shops (many spaces which aren't filled and built yet). They have Walmart, Costco, the Collins Plaza shops by Gate (with Salsas, Jersey Mikes etc); the Starbucks area (with A&T etc) and the unbuilt Collins Town Center (across the street near Costco). They seems like way too much retail esp being not far from the Blanding corridor, and the Oakleaf area down the road.